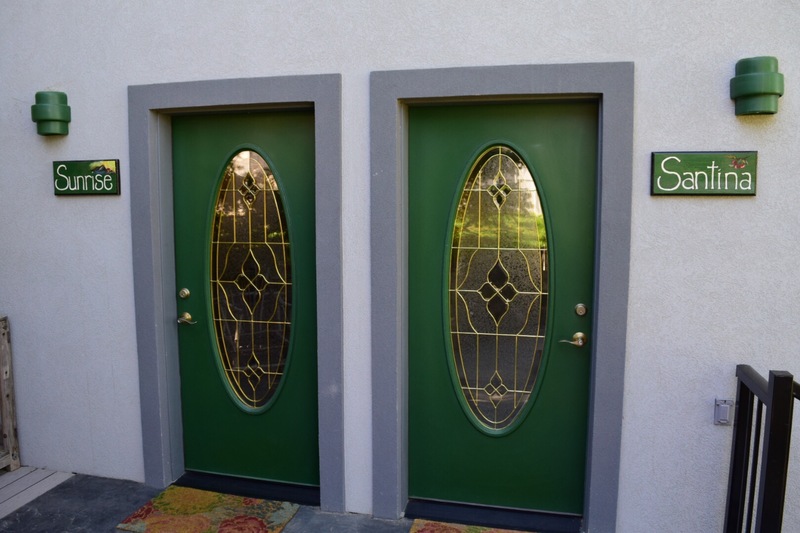 Cherry Chalet – Our Fav B&B to Stay at When Visiting Walla Walla – Abbey Co.
Last time we visited Walla Walla was long before we had a child, so this time we thought we would go about planning it a little differently since our two-year-old would now be in-tow. 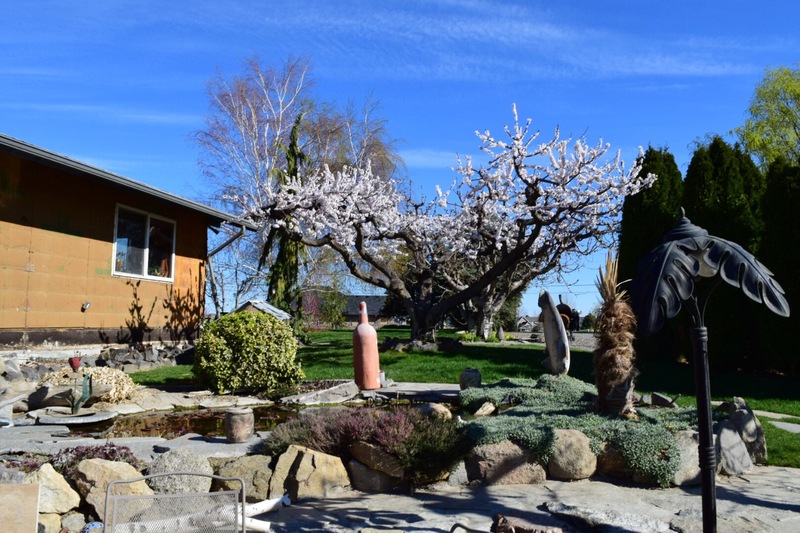 We previously stayed at this quaint little B&B on an orchard in the tri-cities area called the “Cherry Chalet“. This time we thought it would be easier to stay in downtown Walla Walla… at least that was our initial thought! That however dissolved quickly as we began researching B&B’s immediately in Walla Walla… we found many that were beautiful, however, few were kid friendly. I was surprised that most had age limits of 21+!! 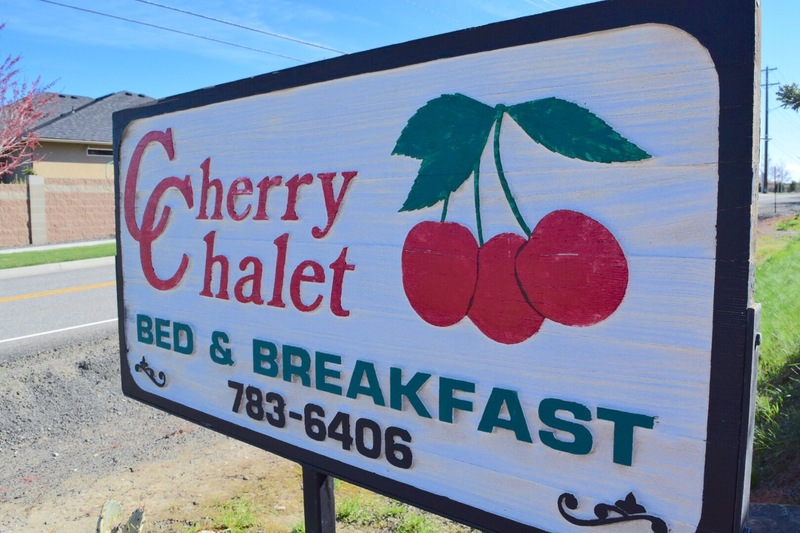 There is a hotel in Walla Walla, but that was just not the vibe we were going for, so we decided to go with what was trusted and true for us, and booked up the Cherry Chalet again (for an extremely reasonable price I might add!). The Cherry Chalet is just under an hour West of Walla Walla, which is actually nice for people like us making the trip from Seattle. They have one large guest house, and a smaller duplex that features two studio-style rooms to rent. 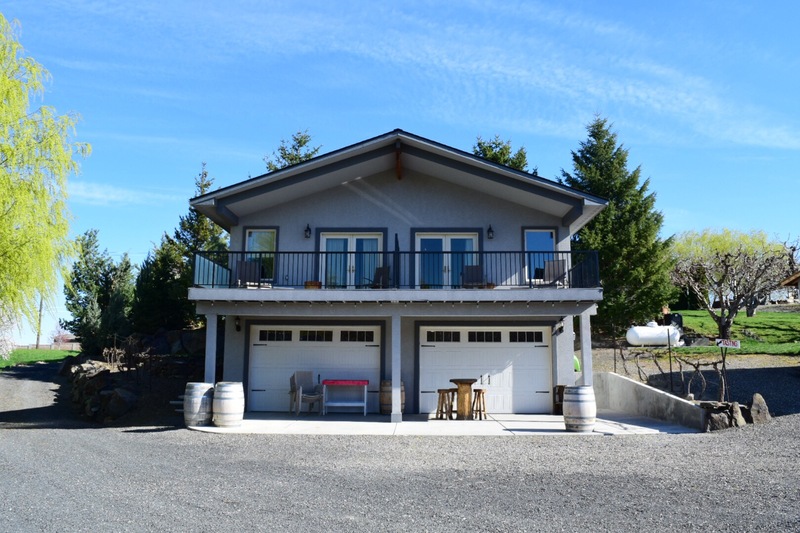 The owners live on-property, are extremely friendly and accommodating, and breakfast of course is included! 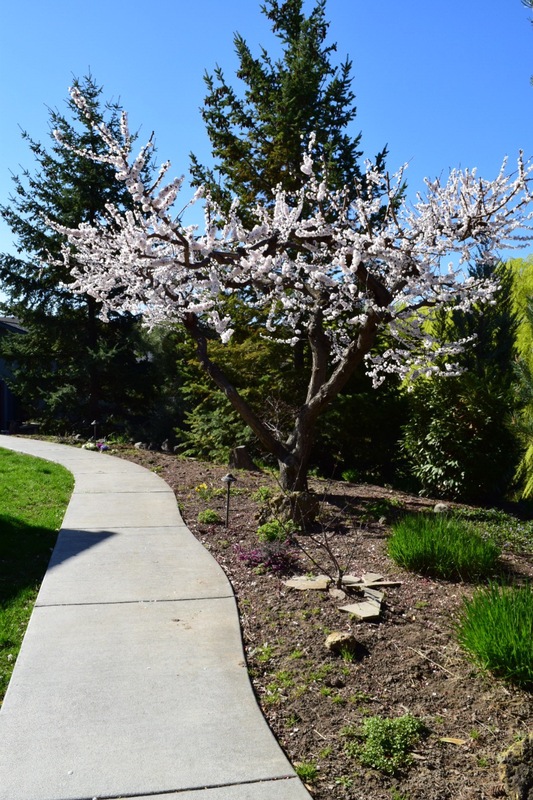 We were her very early in spring so there wasn’t a lot blooming in the orchards yet, but we still enjoyed walking the grounds, playing with the chickens, and watching the coy swim in the coy pond. Having my morning coffee out on the deck overlooking the orchards! Breakfast delivered to our room with farm fresh eggs. They brought a special little egg muffin for our two year old, too. 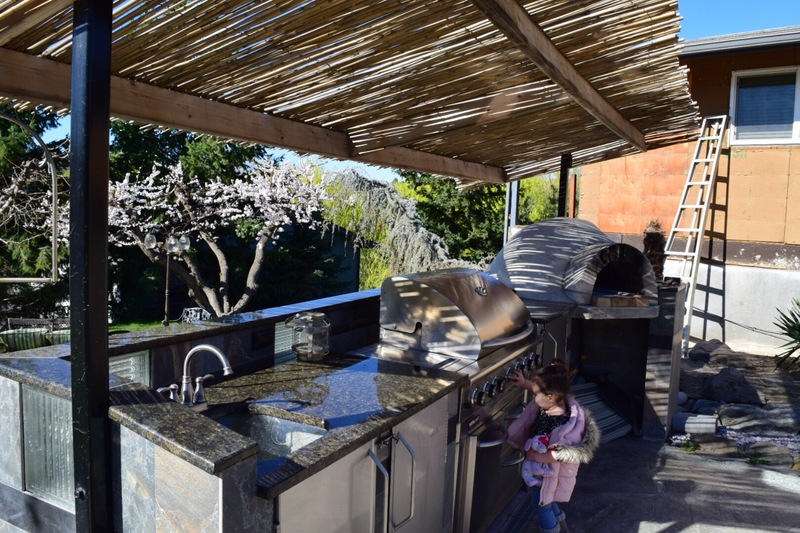 Included in your stay is access to a fire pit and this beautiful outdoor entertaining area! This is such a cute little B&B! Looks like a beautiful property! These pictures are from very early spring before things are blooming so it gets a lot prettier too!